Urban Vines opened in spring 2017 before expanding to offer beer and other beverages. In the tasting room, sample more than 15 wines including traditional favorites like Rieseling and Cabernet Sauvignon or fruitier wines like the rhubarb and blackberry. In the warmer months, cool down with a wine slushie, a summer favorite. Guided wine tastings are available daily without reservations, and for $5 you can sample up to 5 wines. Don’t forget to look up and admire the chandelier light fixture made of recycled wine bottles. Urban Vines recently started diversifying its offerings and now features beer brewed in-house. Grab a pint of the Mad Scientist IPA, Rooster Wheat Ale, Hoosier German Pilsner or another hoppy concoction. Patrons can also enjoy ciders and champagne on tap. Pair a drink with a charcuterie board for a night of noshing. If you like live music, Urban Vines has musicians every Friday, Saturday and Sunday night in addition to frequent open mic nights for budding local artists. Check out the event calendar for information on trivia nights. Or, host your own event and rent out the wine cellar – perfect for birthdays, bachelorette parties and more. Guided tours are available to go behind-the-scenes and see the process. Carry-out beer and wine is available 12 – 9 p.m. on Sundays. Kids are welcome on the grounds and tasting room. Pets are allowed on the patio, leashed. Tuesday: 12 – 9 p.m.
Wednesday: 12 – 9 p.m.
Thursday: 12 – 11 p.m.
Saturday: 12 – 11 p.m.
Make it a wine crawl and visit the four other wineries located in Hamilton County: Peace Water Winery in Carmel, Harmony Winery in Fishers, Country Moon Winery in Noblesville and Blackhawk Winery and Vineyard in Sheridan. 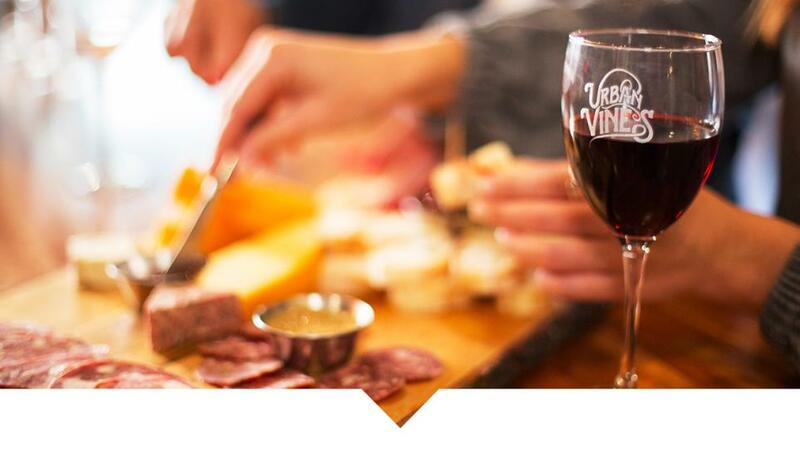 In fact, three of the wineries are part of the Cardinal Flight Wine Trail, a Hoosier Wine Experience: Urban Vines, Harmony Winery and Blackhawk Winery. To stay up-to-date with what’s new in Hamilton County, be sure to follow us on Facebook, Twitter and Instagram and use #VisitHC.